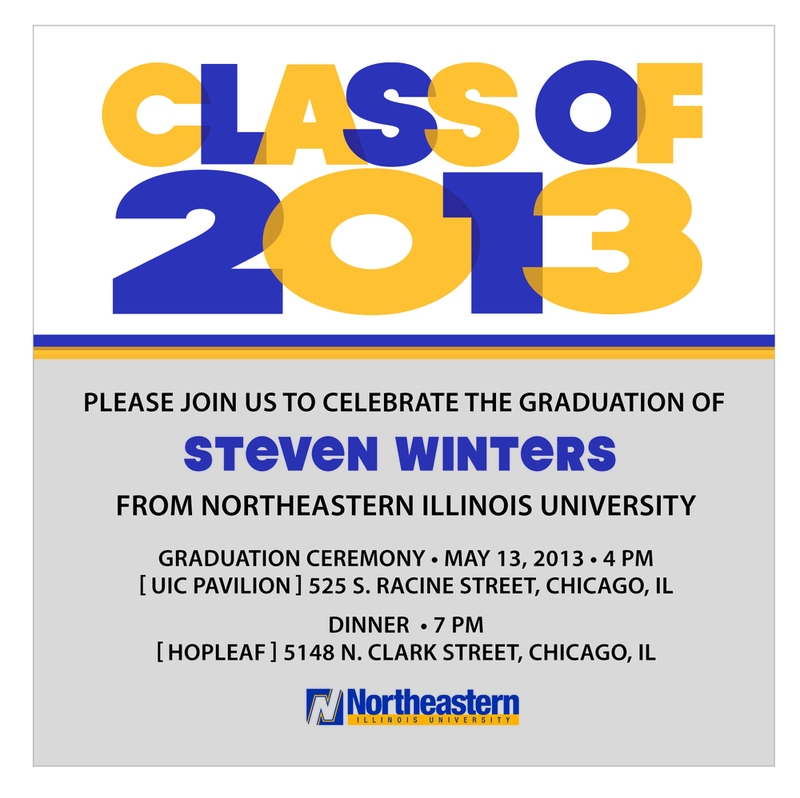 Designed an invitation for Steve Winters' graduation. The design utilized Northeastern Illinois University’s school colors, logo and year of graduation. The invitation was 5x5" in size and one sided.